The Elo 1590L 15-inch open frame touchscreen display delivers an industrial-grade solution that is cost-effective for OEMs and systems integrators requiring a reliable product for their customers. Designed with reliability from the start, Elo's open frames deliver outstanding image clarity and light transmission with stable, drift-free operation for accurate touch responses. The 90-Series product line is available in a wide range of sizes, touch technologies and brightness, offering the versatility needed for commercial kiosk applications from self-service and gaming to industrial automation and healthcare. The Elo 1715L 17-inch standard format touchscreen monitor delivers professional-grade built-for-touch reliability in an affordable compact footprint. The space-saving touchscreen includes a stable base, side controls and lock-out capability for public use. Whether used as a desktop or a wall-mounted unit, the 1715L offers flexibility for mounting and three touch technology options. Add interactivity to any environment with Elo’s 3202L 32-inch touchscreen display. With a brilliant and responsive interactive canvas for leveraging a variety of content, the professional-grade large format display is well-suited for creating engaging experiences. From endless aisle and brand experiences to way-finding and collaboration, Elo’s touchscreen displays from 10 to 70 inches offer everything you need in a sleek, slim design and are built to withstand the rigors of continuous public use. The Elo M-Series 1002L 10-inch widescreen LED touchscreen monitor delivers a seamless zero-bezel, edge-to-edge glass design with Elo’s industry-leading TouchPro® PCAP technology. The sleek, low-profile, retail-hardened touchscreen features a 10-touch tablet-like experience and an anti-glare surface built to withstand the rigors of continuous public use, making the 1002L well suited for high traffic environments. 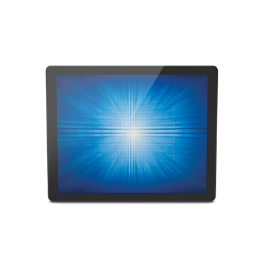 The Elo 1291L 12" open-frame LCD touch display features a slim design and narrow outside dimensions due to the state-of-the art energy-saving LED backlight, using less electricity to operate and generating less heat. Featuring a brilliant wide viewing angle panel, the 1291L instantly grabs and holds the users’ attention for kiosks, casino and amusement, retail self-service, and industrial automation. The Elo 1590L 15-inch open-frame LCD touch display features a slim design and narrow outside dimensions due to the state-of-the-art, energy-saving LED backlight, using less electricity to operate and generating less heat. This compact touch display is designed for touch, with proven Elo expertise and reliability built in. The 1590L provides stable, drift-free operation with outstanding image clarity and light transmission—for accurate touch responses and vivid images. Instantly grabbing and holding users’ attention, the 15-inch open frame is perfect for kiosks, casino and amusement, retail self-service, and industrial automation environments. The Elo 1790L 17-inch open-frame LCD touch display features a slim design and narrow outside dimensions thanks to the state-of-the-art, energy-saving LED backlight, using less electricity to operate and generating less heat. This compact touch display is designed for touch with proven Elo expertise and reliability built in. The 1790L provides stable, drift-free operation with outstanding image clarity and light transmission—for accurate touch responses and vivid images. Instantly grabbing and holding users’ attention, the 17-inch open frame is perfect for kiosks, casino and amusement, retail self-service, and industrial automation environments. The Elo 1990L 19-inch open-frame LCD touchscreen features a slim design and narrow outside dimensions due to the state-of-the-art, energy-saving LED backlight, using less electricity to operate and generating less heat. This compact display is designed for touch, with proven Elo expertise and reliability built in. The 1990L provides stable, drift-free operation with outstanding image clarity and light transmission for accurate touch responses and vivid images. Instantly grabbing and holding users’ attention, the open-frame touchscreen is perfect for kiosks, casino and amusement, retail self-service, and industrial automation environments.